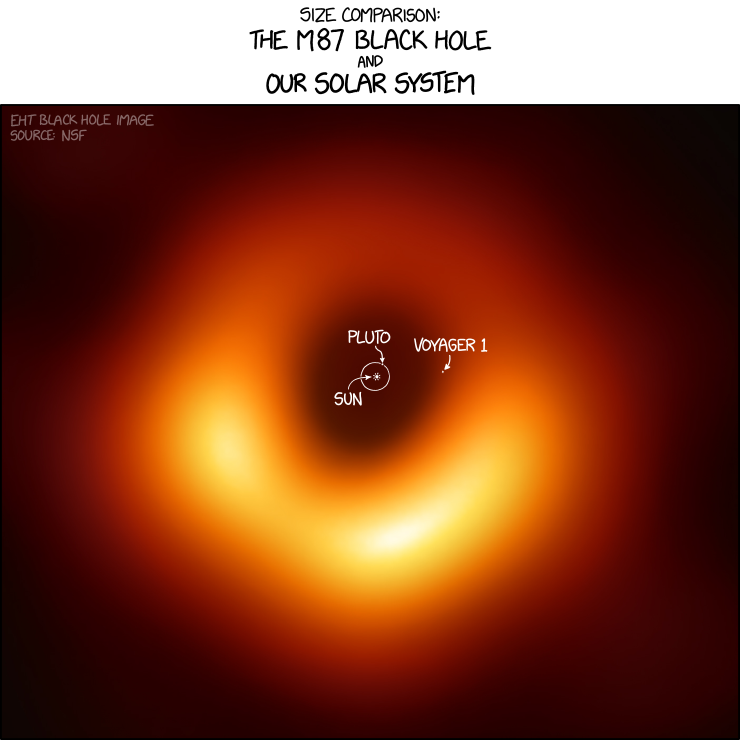 So we all have been told that nothing can escape a black hole not even light, hence the name. 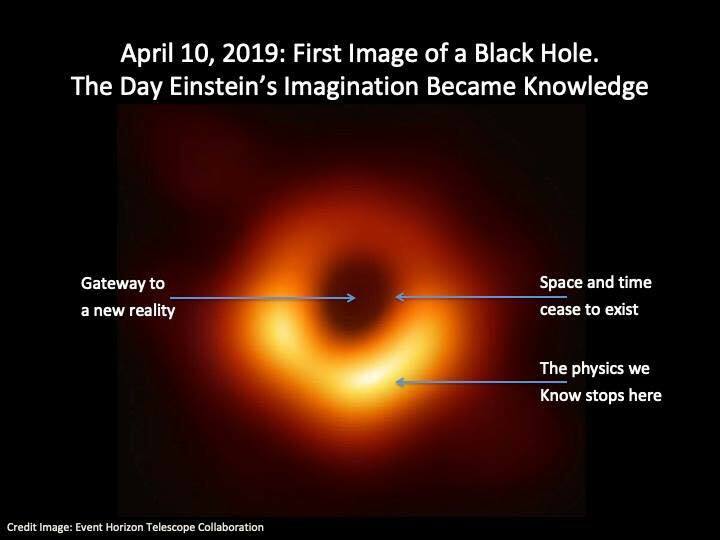 So how were the scientists able to get a picture? They accomplished this by linking 8 large radio telescopes that are located in the US, South America , Spain and Antarctica. All were aimed at Messier 87 galaxy at the same time and gathering data from different parts of the galaxy. Then using a supercomputer and an algorithm developed by 29 year old Katie Bouman a grad student at MIT, they combined the information from all these telescopes into this picture. The donut ring is the glow of the super heated gas as it swirls around the black hole, eventually getting sucked in. This is what astronomers call a SUPER MASSIVE BLACK HOLE. To give you an idea to it's size, here is an image with our solar system embedded as a comparison.